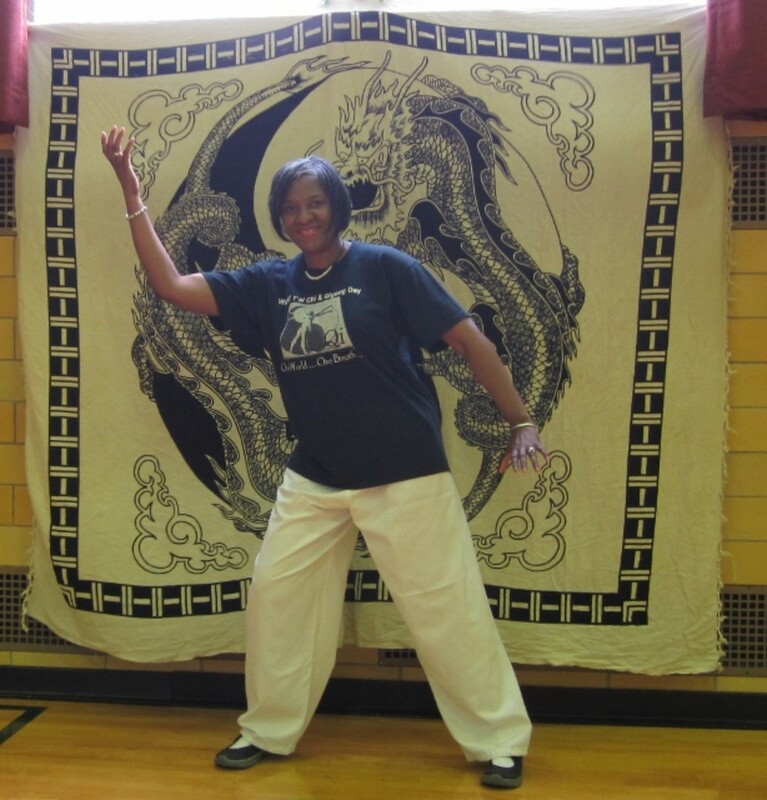 Janis has been a student of tai chi and qi gong for 14 years. It has become a major outlet for finding peace and serenity in her life. My introduction to tai chi began in October of 2003 and was offered at a local wellness program by my instructor Laoshi Taj (Thomas Johnson, founder of SkyValley Taiji). My study consisted of 2-hour Saturday morning classes and some 1-hour Wednesday evenings that primarily included Yang style tai chi and qi gong breathing exercises. 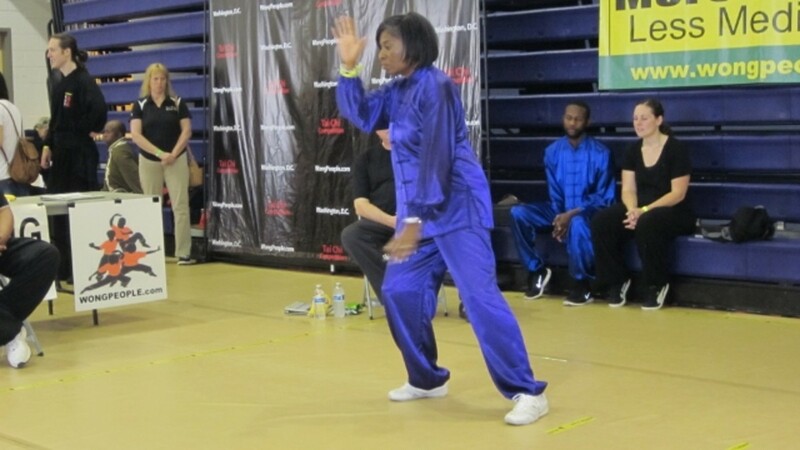 I chose to take tai chi as an outlet to decrease stress that I encountered on the job as a counselor providing crisis intervention services and therapy to police officers and their families. Little did I know the larger role that the practice of tai chi would play in my life and the unexpected journey of self-discovery and wellness benefits. 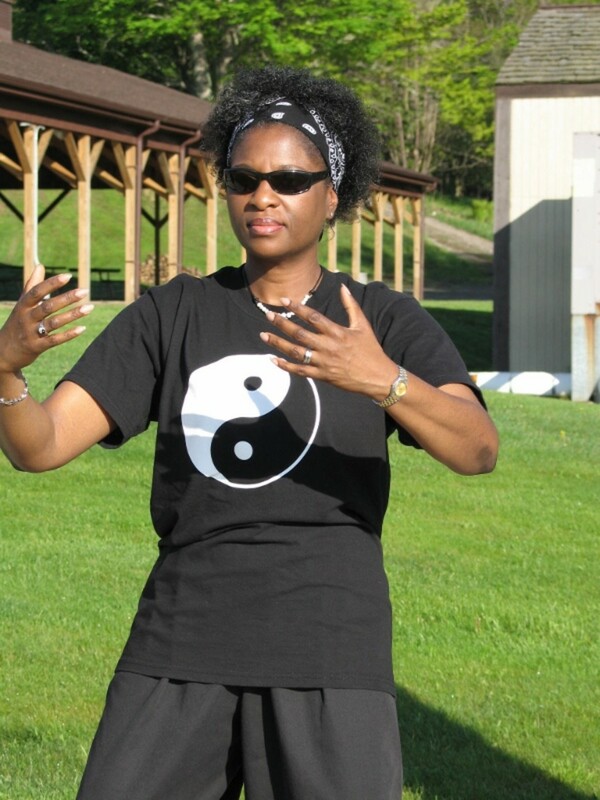 Class content has since expanded employing intense training in the Wudang Neijia tradition to include several styles of tai chi (Yang, Chen, Wu, Xingi, Bagua) and qi gong. I have also learned more advanced forms such as Liuhebafa. It can take several months or even years of study before one can truly appreciate the benefits of tai chi with full understanding. You're so focused on trying to follow the basic principles, hold correct stance, breathe, learn the forms, and correctly execute the movements, that you cannot fully grasp the essence of the art. "I started tai chi classes today. It was harder than I thought it would be, physically and mentally. I have a hard time retaining the sequences in movements. I figured out that I'm trying to learn tai chi in 'parts' instead of learning the 'whole.' I'm missing the forest for the trees." 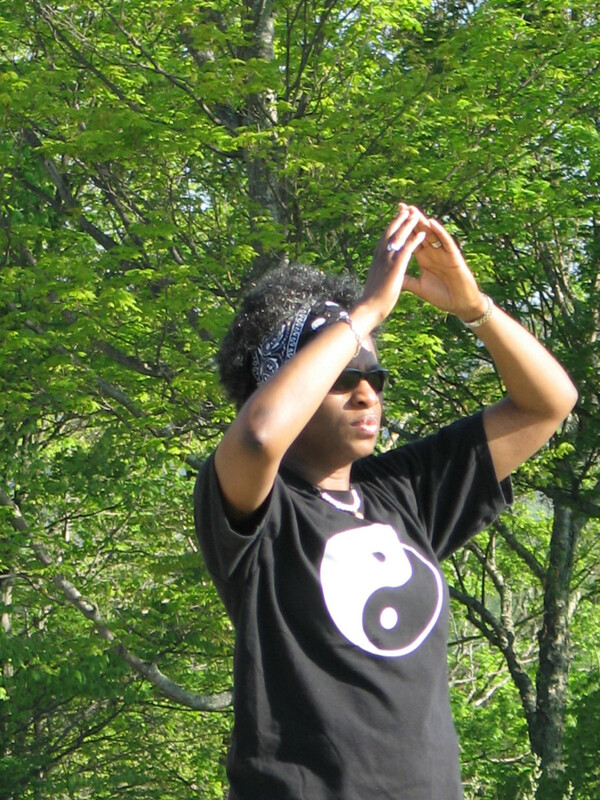 What is your favorite style of tai chi? Since tai chi is classified as an internally focused martial art, progress is achieved by engaging in extensive periods of discerning introspection. According to the teachings of Laoshi, once the physical, emotional, and intellectual alignments are nurtured and refined, the proper execution of the movements emanate from deep within the student, allowing "jing" or essence to manifest visibly in the world. During my first few years of incorporating the basic principles and learning the forms, I slowly began to understand what "practice" really meant. It takes a lot more than just learning and memorizing a form to maximize your tai chi experience. I thought it might be time to consider entering a tournament. As a spectator at tournaments, I was intrigued and felt that one day I would like to share in such a forum. It took six years before I felt ready to enter. 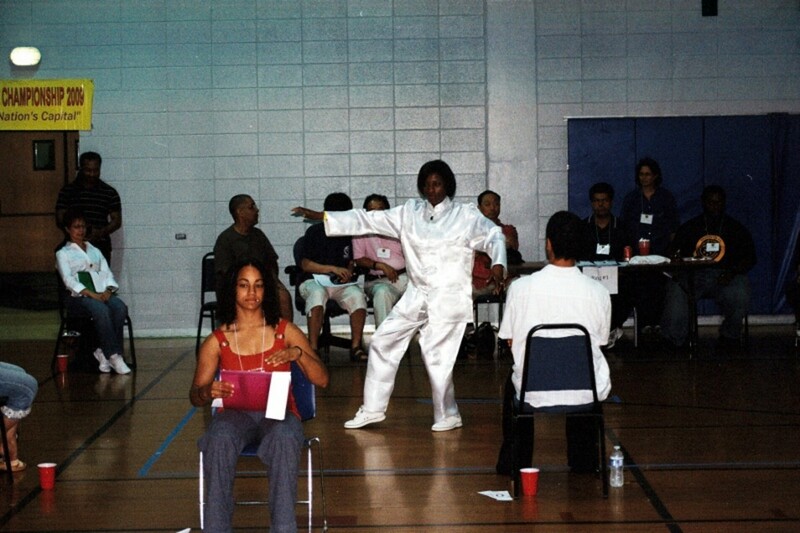 About five months before my first tournament in June of 2009, I started to take the "practice" of my tai chi more seriously by reading the classic books of tai chi study and searching for resources online. I practiced more frequently in my backyard, my living room, and my office at work. I occasionally went to a local park to practice in a public place with nature which I found contributed greatly to my preparation. I also scheduled additional lessons outside of class with my shifu. I did well for my first tournament. My best accomplishment was a decrease in my anxiety and an increase in my confidence level. The medals were not as significant as you would think. It is all relative, depending on the number of entrants, categories, age groupings, style and school, experience level, and the judges. 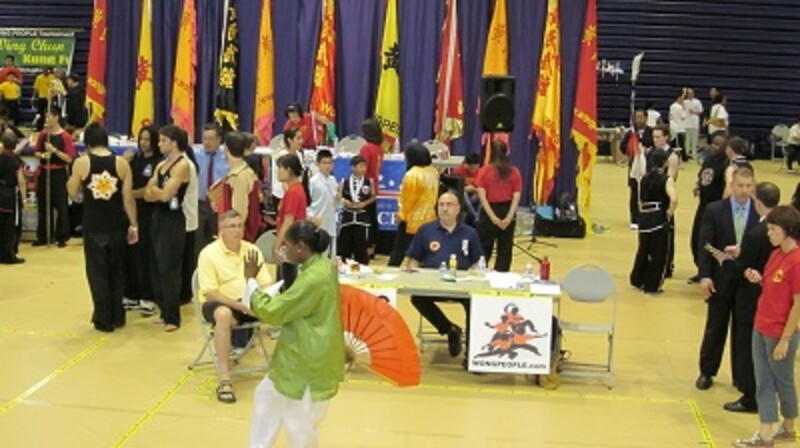 The point was to share my tai chi, not to compete against anyone but myself. Getting feedback and critique from the judges was more valuable than the medal itself. I have since shared at other tournaments in 2010 and 2011, receiving first place medals for my fan form in Other Weapons category. The best way to express my experience at tournament is through my poetry. The poem, "Like Water Flowing," found at the end of this article, was written about my second tournament showing in 2009. 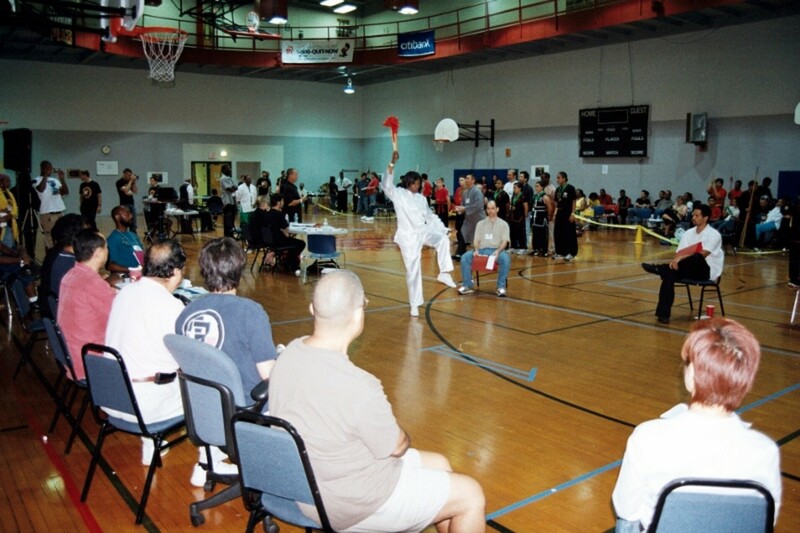 My weekly classes, personal study, and participation in tournaments have given me a better understanding and respect for the practice of the art of tai chi and the discipline required to pay homage to this ancient tradition. As a result, I have been able to maximize my experience as I continue to train and grow as a student. Regular practice is essential which I still need to improve upon. I've learned that tai chi cannot just be considered a mode of stress reduction as I naively thought in 2003. That minimizes and disrespects the art and the masters who so generously passed it down through the generations. The practice of the martial art of tai chi must be incorporated into the daily life in order for full benefits and growth to be attained. For this I strive, as I continue to cultivate inner peace and stability, and express my "jing" through my tai chi experience, and reach new levels of mastery. Rushing like waves, moving too fast. Rounded and extended to the tips of my fingers. As I create forms in sequences of full and empty. As I balance on one leg, shaking slightly. And gracefully share with them my best tai chi. Jing, Shen and Qi: The three treasures in Chinese medicine. 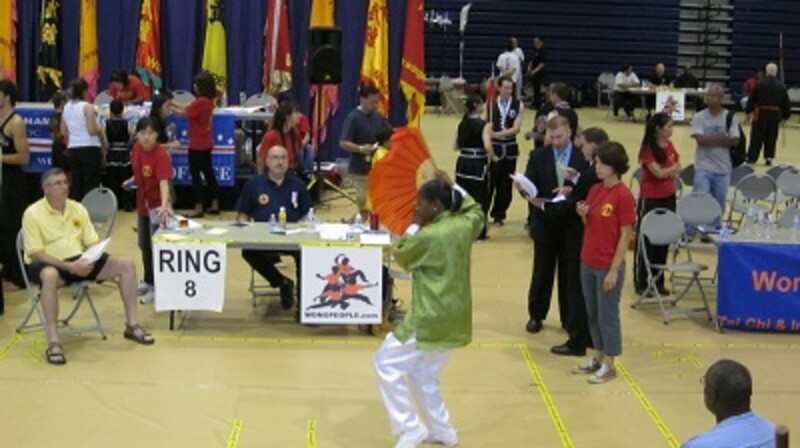 Oh yes, all forms of tai chi are presented in the competitions. 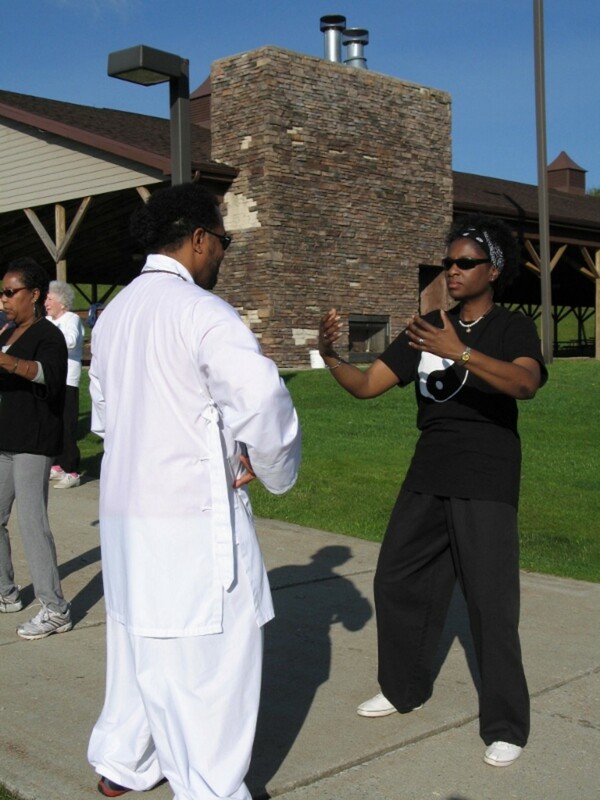 Tai chi is a small component of the larger martial arts tournament, which includes all types of martial arts. Thank you for reading this hub. I'm happy you enjoyed it. I have looked at various exercises, tried a few and only practice one - tai chi. I do it for relaxation and because the exercise is easy to do. I enjoyed reading your article but I was surprised about the tournaments. I have never read, nor heard, about tai chi being competitive. Great! Thanks for stopping by and reading this hub. I also practice Yang style Taichi, and I benefit a lot from it. OMG, Laurinzo, not at all. I'm honored that you liked it that much. Thank you so much. Thanks. It does take a lot of focus but it is very relaxing. Thanks for reading and for vote up. I looks like this takes a lot of focus and discipline. When I went to Beijing years ago, I used to see people doing this in the park in the morning. Very interesting topic. Vote Up! Your comments are so very much appreciated. I'm so glad you were "directed" here and now will follow your friend's suggestion. He is correct, tai chi will help. Thank you for stopping by. What coincidence. I am an old washed up surfer. My friend was bugging me to join him at Tai Chi, get back in shape, and start surfing again (used to be good). "What about my old busted up knees, back, and everything else I messed up playing football and getting into car wrecks?" He says, "Trust me. This will help, and you will love it." Your article, and photos have convinced me to give it a try. I never knew there were competitions. Aren't ancient traditions cool? Too bad we have mostly trends to follow. Thanks, Jan. If I can just get the proper sequences, it will all come back to me. I also recommend the two books listed on this hub. There is explanation of basic movements in both. Wonderful ! I forgot to ask you something. I have been looking for a long time for a book or site that would show the movements. I once had the instruction sheets and illustrated step by step movements and over the years they got lost. Can you recommend a good book that I can refresh my memory with? You're so welcome, Phyllis. Thank you sooooo much for stopping by, I really appreciate your taking the time to read and comment. That fact that you liked it and will use it for inspiration is icing on my cake! This is a hub I will return to often, Jan. Very well-written and helpful. I practiced Tai Chi many years ago and have forgotten the order of movements, but never forgot the body, mind, and spirit connection that needs to flow. Thanks so much, greeneryday. Im so happy to receive your comment and hear that you learned more about tai chi. I appreciate that very much. this is really interesting subject and great to know that not only it makes you healthier but tai chi helps you to fight stress too. I knew a little about tai chi before but not this much, thanks to you! voted up and more! Thanks so much, glad u enjoyed it. I hope it does inspire! J. this is a most inspiring article and truly reflects the advantages which the body receives through the practice of this amazing form. This article should encourage those who are not students to try it and those of us who are to definitely continue.